Try This Now is a feature in which Gut Check writers recommend new dishes, drinks and more that you need to try right now. Even with the barest first hint of autumn in the air, richer brews have begun flooding the market. Unlike white shoes before Easter, it's perfectly acceptable to enjoy an Oktoberfest before October. The Festbier from Weihenstephaner is a bright, brassy color, rather than the orange and amber range occupied by many other Oktoberfests. It also lacks the glaring caramel flavors that mar too many interpretations of the style and can transform them from festive treats to be consumed by the liter into cloying train wrecks. Weihenstephaner's interpretation couples intense, satiny malt flavors with sharp, spicy bitterness. By the time you get done parsing the dichotomy, all you want is another sip -- right up until you wonder how your glass got empty so quickly. 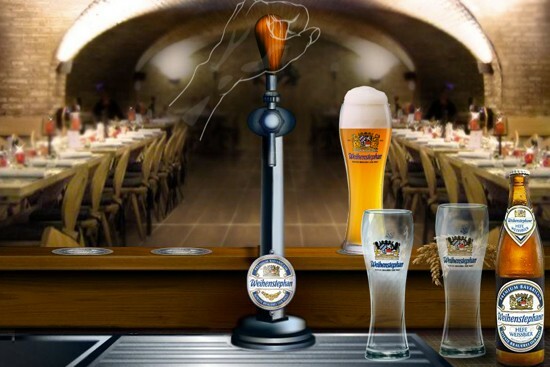 Weihenstephaner lays claim to being Germany's oldest continuous operating brewery, tracing its roots to an abbey brewery officially licensed in 1040, with evidence in the abbey's records that it was receiving hops (and therefore probably brewing) as early as 768. Today the brewery is owned by the State of Bavaria and is the "house" lab for a top brewing- and fermentation-sciences school. Everything the brewery produces is well worth sampling (just make sure the bottles you're picking up are fresh), but the Festbier is something special -- and not merely because it means that the end of another torturous St. Louis summer is nigh.